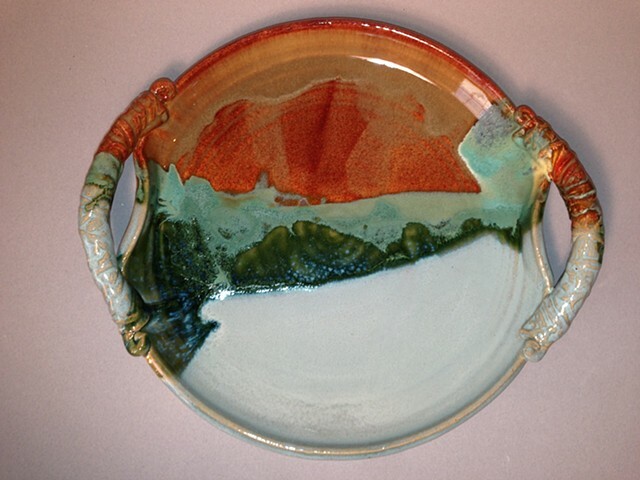 This landscape serving platter is both beautiful and functional as it can be used for display or serving. It is wheel-thrown and altered with textured handles. It is food and dishwasher safe and microwaveable.